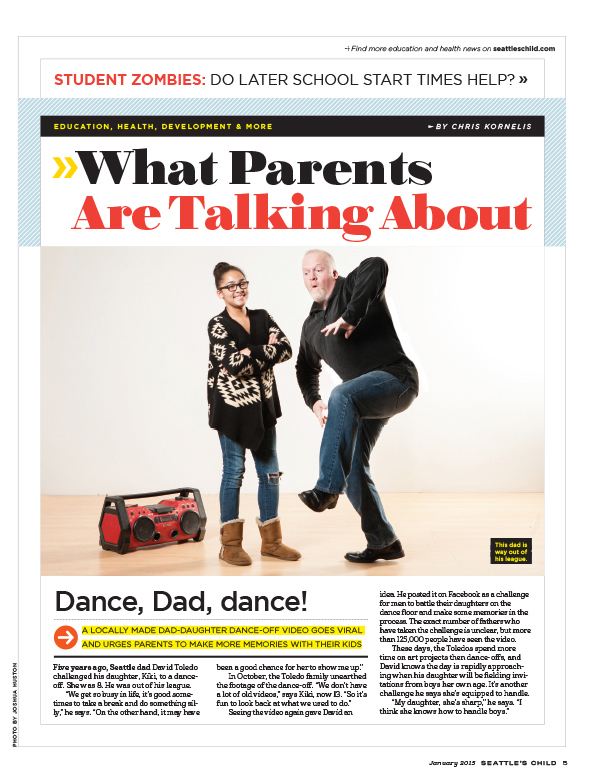 Seattle’s Dancing Dad is Artistic Dynamo! In the video David Toledo and his 7-year old daughter Kiki match dance moves in an attempt to one-up each other and win the dance challenge. David Toledo is from Seattle, Washington and was raised in North Seattle. Due to Seattle Public School’s busing program of the 1980’s David attended Garfield High School in Seattle’s Central District his freshman-Junior year ~ to which David says was a blessing as it allowed him to grow artistically in such a arts-rich environment which was also home to Quincy Jones, Jimi Hendrix, and most recently Macklemore. “I loved my time at Garfield. I made some life-long friends and really grew as a person. It was while at Garfield that I was introduced to the hip hop culture and most notably for me, the hip hop style of letter and character design. I returned to the north end my senior year and graduated from Ingraham High School, but I am so thankful that I was able to attend Garfield for those crucial years.” David said. 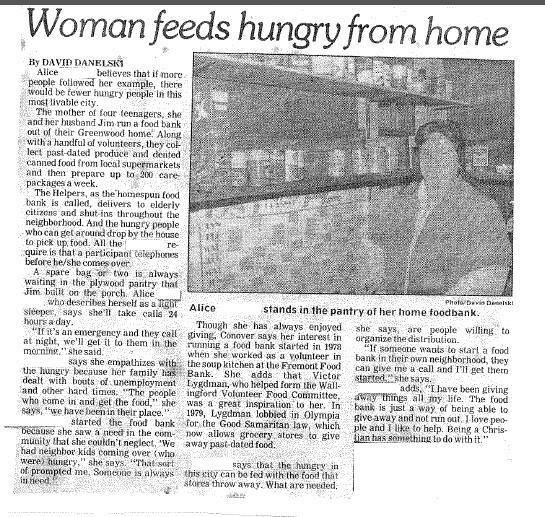 David’s mother (Alice) food bank article 1984. 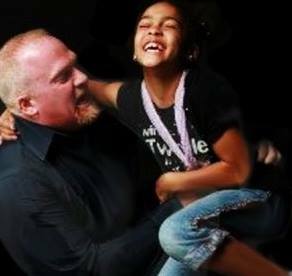 David says that he and his daughter have been dancing together (and against each other) for years and that it was actually his daughter’s idea to post the video which is actually a few years old. When they came across it on an old computer disc they thought it was so funny that they just had to post it. They never expected that the video would go viral. < BRING THE NOISE! Legendary Seattle artist David Toledo makes the leap from street art to political activism.